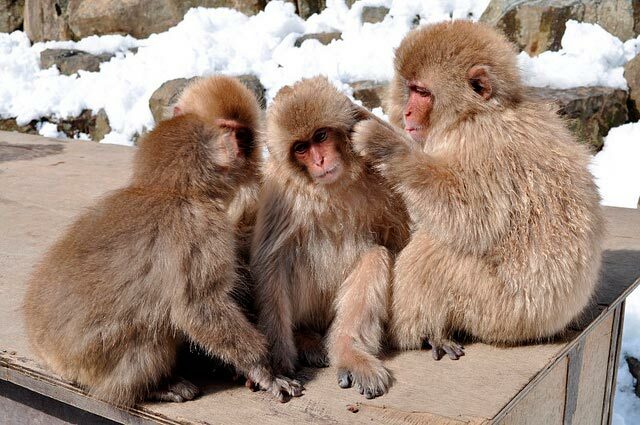 Jigokudani Monkey Park is becoming increasingly famous as a tourist destination in Japan. 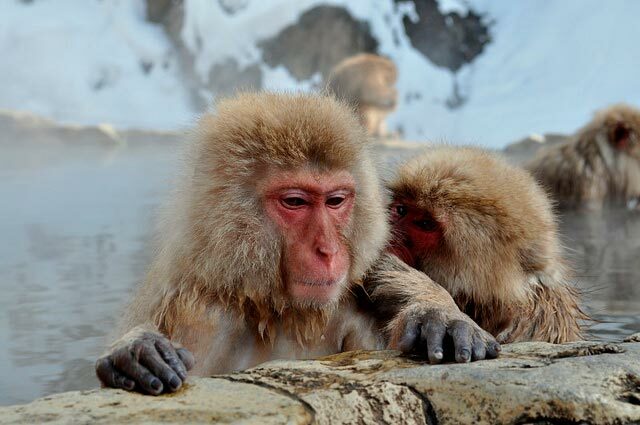 Photos of monkeys bathing in hot springs circulate the internet and magazines, so more and more tourists are flocking to Yamanouchi in Nagoya to witness this phenomenon. The name Jigokudani, or “Hell’s Valley”, comes from the steam and boiling water that bubbles out of the crevices in the ground. The Monkey Park is made up of a series of natural hot springs and is home to around 200 Japanese Macaques, who are nicknamed “Snow Monkeys”. While it is not the furthest north that monkeys live, it is the coldest climate. At an elevation of 850 meters, snow covers the ground at least four months out of the year. 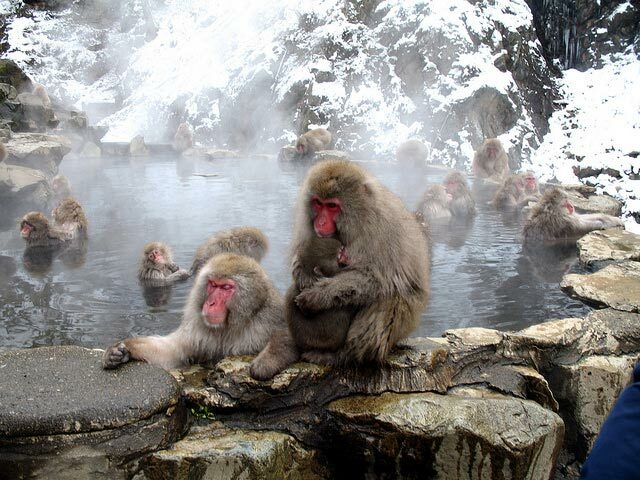 So because Nagoya gets so cold come winter time, the monkeys spend their days lounging around in the hot springs in order to protect themselves from the harsh temperatures. It has been recorded that they monkeys have been doing this since the 1960s. It’s pretty adorable seeing the monkeys acting like little people in the hot springs. Tourists pass through daily photographing and gawking at the monkeys nearby. However, monkeys don’t seem to give any of the people a second glance, unlike those at the park in Kyoto who are known to follow humans. The park does not allow visitors to bring in any food, which is probably why the monkeys could care less. They’re learned by now that the visitors have nothing of interest to them. It’s a great experience to get up close to these funny creatures, and it’s interesting to see how they behave naturally in the wild. You probably wouldn’t have thought this was normal behavior for them, but funnily enough, it is! Inside the park are informational signs about the monkeys and how they distinguish the alpha of the pack; however, most of them are only in Japanese. There is also a small information center, which has a little more English, but not terribly much more. I recommend reading about the center before heading out there. The park is open all year round, but of course it is prettiest when the area is covered in snow. If you’re going to visit in the winter, make sure to dress appropriately and go prepared as it is at least a 20 minute hike if you hire a car for part of the way, and 60 minutes to hike from the nearest station.